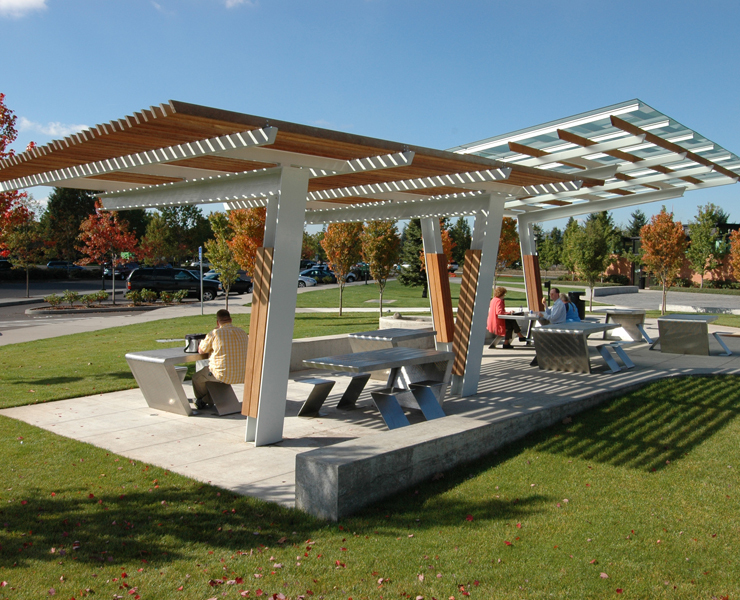 Opsis worked closely with Murase Associates on the final phase of development for the City of Wilsonville’s 20-acre Town Center Park. 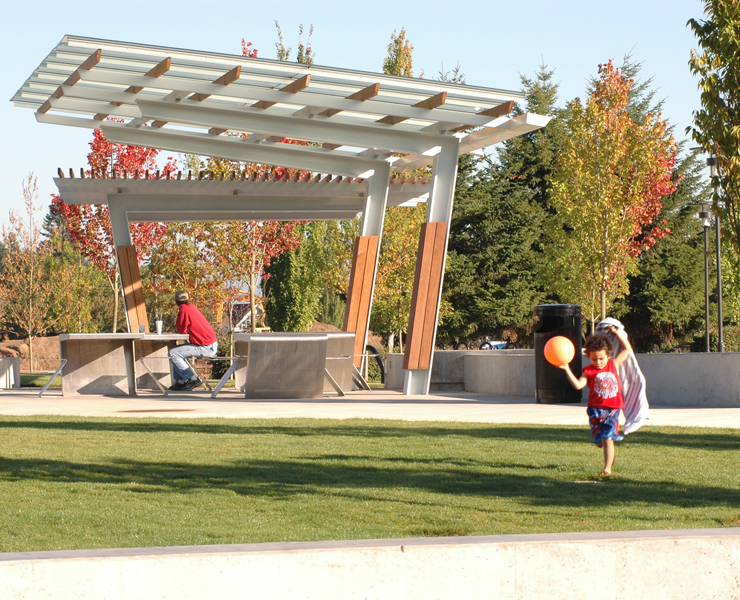 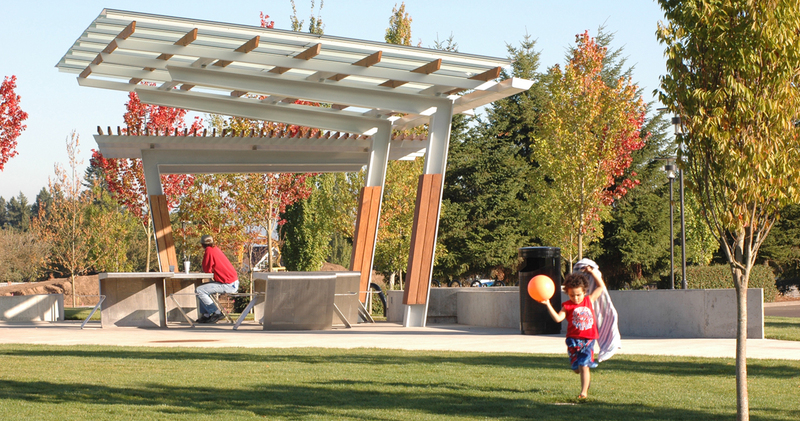 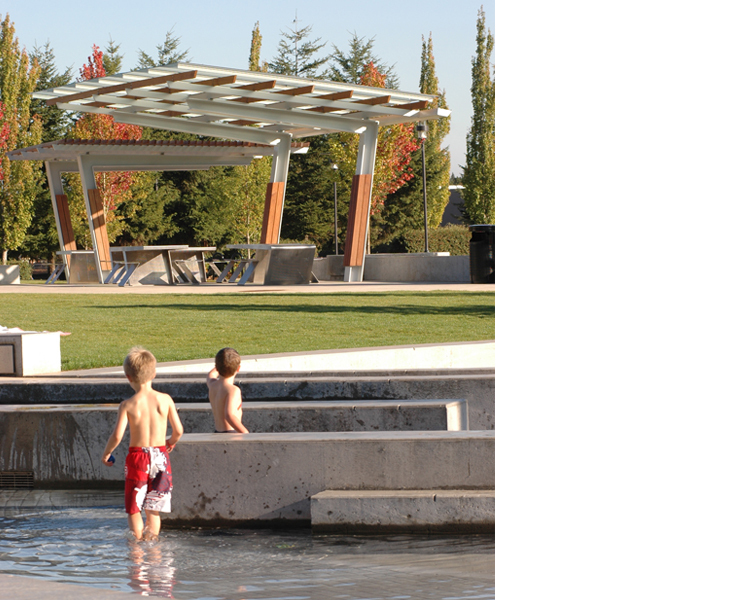 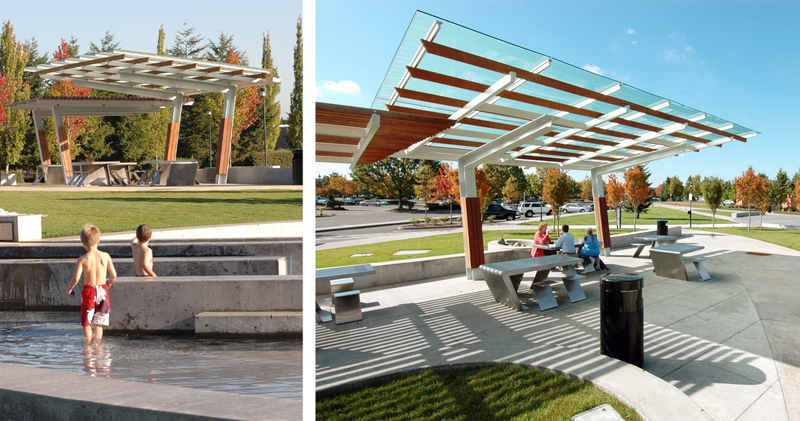 The park, located in the heart of Wilsonville, was designed by Murase for large-scale civic events, family gatherings and individual contemplation. 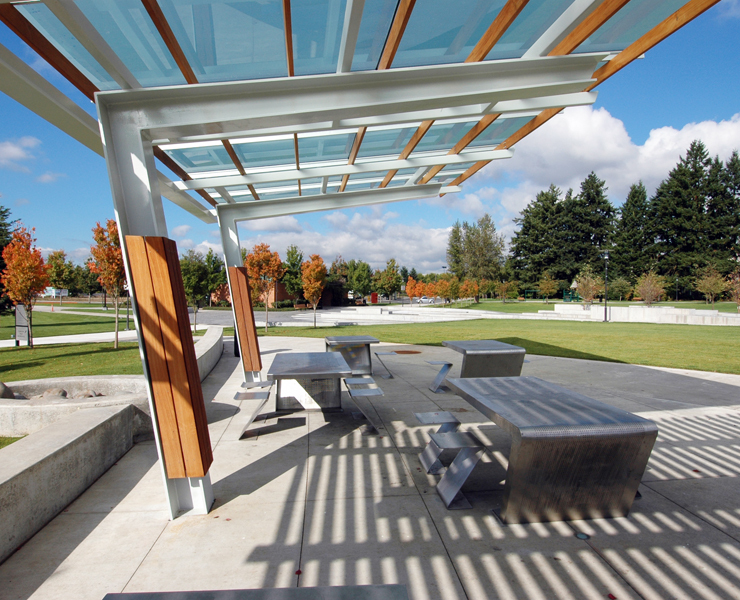 It features a central plaza with a water fountain, sloped lawn amphitheater for music events, a Korean War Memorial and open space for recreation and picnicking. 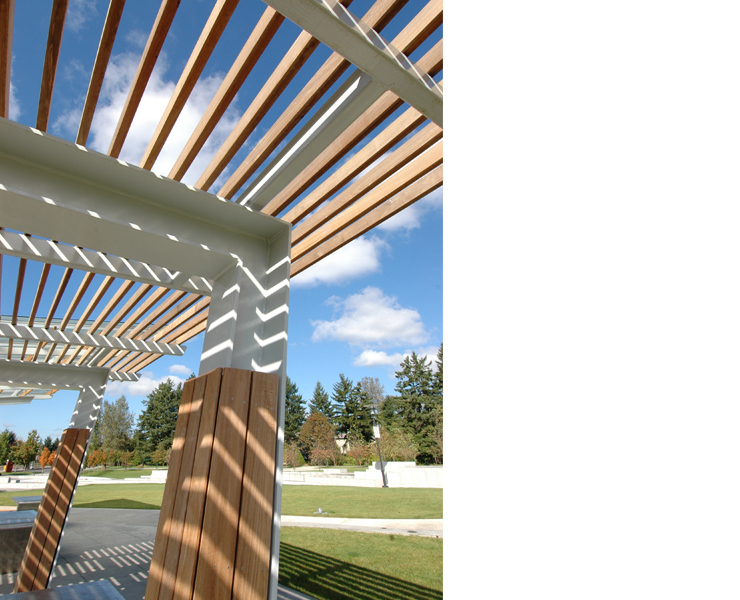 Opsis designed the park’s entry pavilion as a light steel structure that nestles into a grassy knoll to create a gathering place. 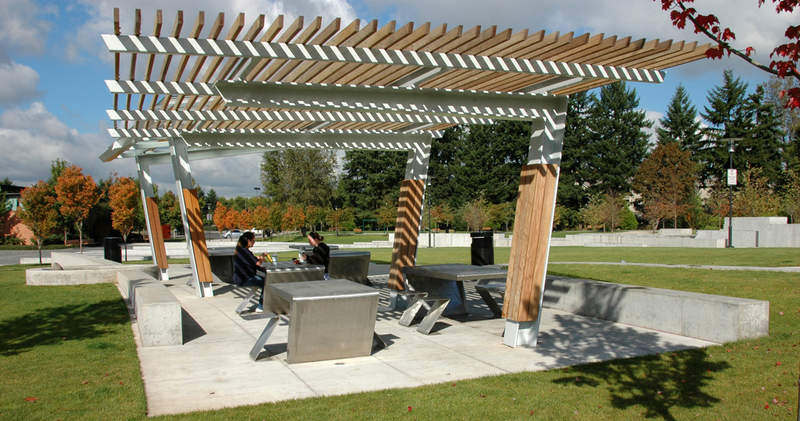 The park shelter combines two structures in proximity to each other, one is a shade pavilion oriented to the sun and the other a rain pavilion facing the park. 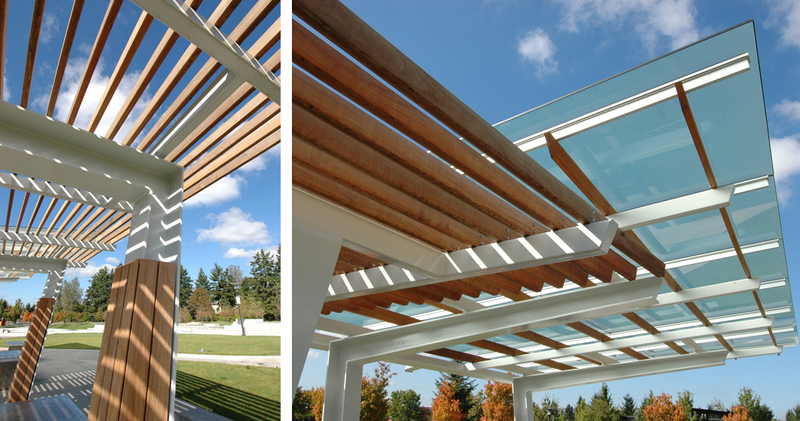 The structures are made from custom steel bents that combine ipe hardwood to create a horizontal latticework and perlins to hold a glass roof. 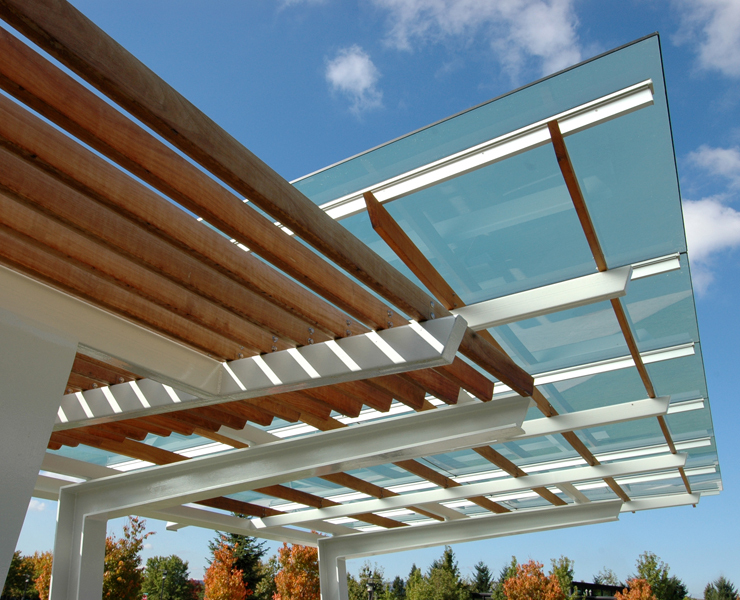 The event of rain is celebrated when water is collected on the glass roof and directed through a scupper to create a fall of water into a cistern formed by a concrete seat wall. 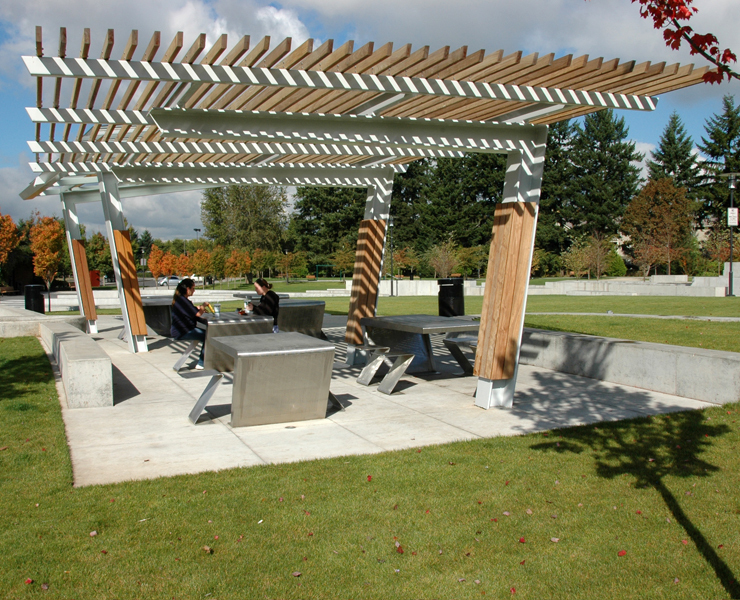 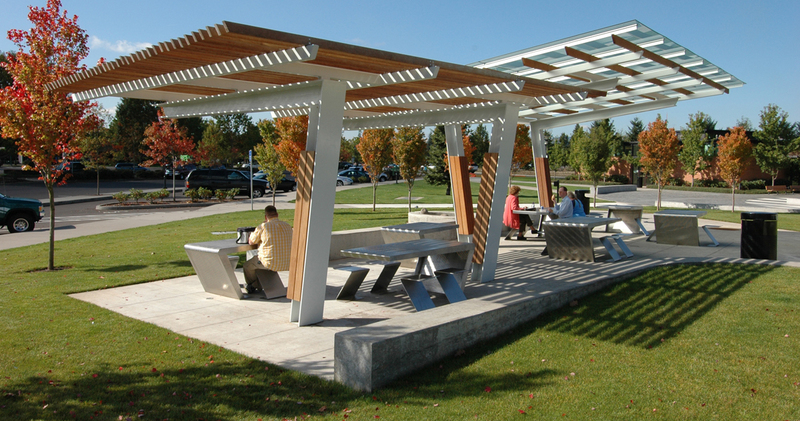 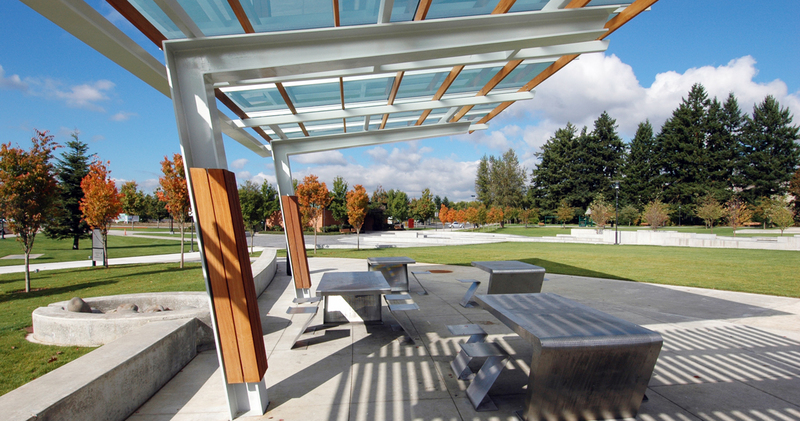 Custom stainless steel tables and chairs populate the shelters and provide a place to relax and picnic.